Kitchen and Residential Design: Conductors on Twitter, oh my! 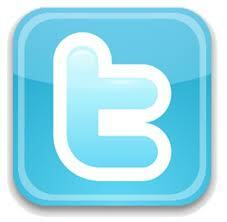 I make no secret of the fact that I love Twitter. I also make no secret of the fact that I love classical music. Well, what happen if the two things combined? Well for one day only they have. Today is Ask a Conductor day on Twitter. A little background. On Twitter, if you have a question to ask the universe, you use something called a hashtag. Hashtags go on the end of a Tweet and they are indexed by the site, so anyone can search for them. The hastag in this case is #askaconductor. Click on that last link and you'll go to the Twitter search results for instances where that tag's used in a Tweet. The directory's updated in real time. So if you're a Twitter-er and you have a burning question you want to ask about classical music, just ask it and use the hashtag #askaconductor. Conductors and orchestra people from all over the world will be monitoring Twitter today and answer these questions personally. 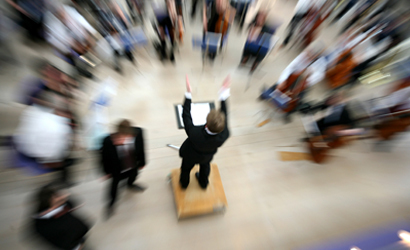 There are conductors from all the world's major (and minor) orchestras involved so who knows? Maybe Michael Tilson Thomas or Esa-Pekka Salonen will answer your question. Here's the link to the #askaconductor site. My favorite classical song is "Fur Elise" Love it!